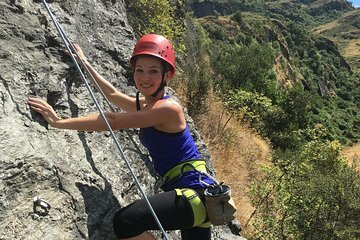 Learn how to climb or improve your skills on a rock-climbing tour in the Matukituki Valley from Wanaka. You'll have the chance to experience this popular outdoor activity under the guidance of an instructor, who helps you maximize your climbing time and provides safety and technical tips. This is designed for first-time climbers or those who've only climbed on an indoor wall.